Charleville is a busy market town in North Cork, close to the border with Co Limerick. I spent the morning there yesterday [27 September 2018], in in the heart of the rich farming area known as the Golden Vale that spreads through Cork, Limerick and Tipperary. The lands around Charleville bought in the late 16th century by Richard Boyle (1566-1643), 1st Earl of Cork and one of the most successful Elizabethans in Ireland. His third son, Roger Boyle (1621-1679), Lord President of Munster and 1st Earl of Orrery, founded the town of Charleville in 1661 and named it in honour of the recently-restored King Charles II. Charleville became the centrepiece of a vast estate owned by the Boyle family. The town was laid out in a formal plan with two parallel wide streets. It was granted a charter in the 17th century with a sovereign (mayor) and two bailiffs elected annually by the 12 burgesses or town councillors. The principle Boyle residence was Charleville House, built in 1668 and set in a vast deer park north of the town. It was regarded as one of the finest houses in Ireland at the time. It occupied one side of a large walled court and could be defended with 16 guns. However, during the lifetime of Lionel Boyle (1671-1703), 3rd Earl of Orrery, Charleville House was burnt down by Jacobite forces under the command of the Duke of Berwick, after he had dined in the house in 1690. The house was later demolished and nothing remains of it today. All that remains of the ‘notable gardens and fine park’ are symmetrical fields, masonry walls and earthworks, including the site of four fish ponds. Although the Boyles remained the lords of the manor, William Sanders of Charleville leased The Park ‘for ever’ from the Boyles on 20 September 1697. The Sanders estates expanded through intermarriage with the Knight family, and in the late 18th century Christopher Sanders built Charleville Park, which was also known as Sanders Park. Like many Irish towns, Charleville went through a period of rebuilding in the late 18th early 19th centuries and most of its elegant streetscape dates from this period, along with the many side lanes that gave access to the areas behind the streets. Charleville became an important market town with a weekly market on Saturdays and six fairs during the year, and with a number of industries, including tanyards, flour mills and a blanket factory. Christopher Sanders’s son, William Sanders (1773-1819), was living in the house in 1814, and his son, Christopher Sanders (1808-1839), was living there in 1837. 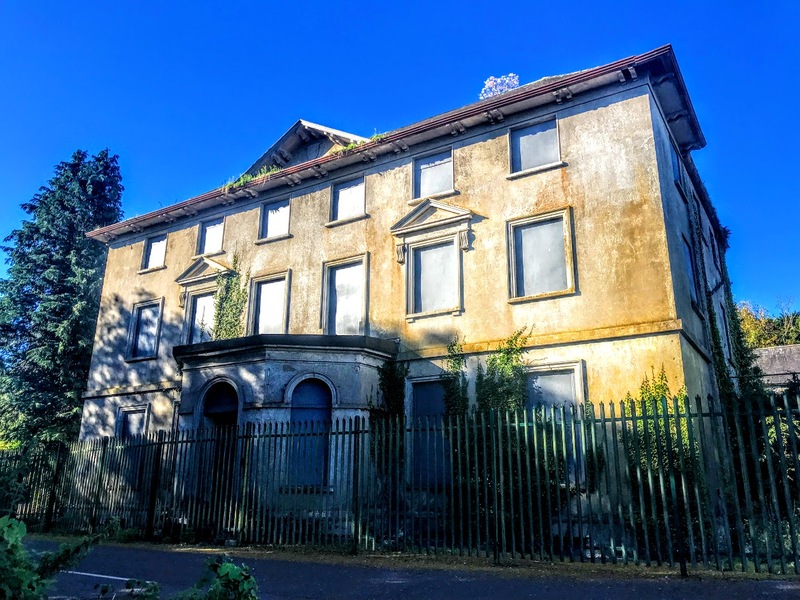 The estates were divided between his sons, Christopher Sanders (1808-1839), who inherited Deer Park, and William Robert Sanders (1810-1851), who was living at Charleville Park at the time of Griffith’s Valuation, holding the property from the Earl of Cork. The third son, Colonel Robert Sanders (1814-1860) inherited Deer Park when his brother Christopher died and Charleville Park when his brother William died. But he too died without male heirs, and in 1860 the estates passed to another younger son, Thomas Sanders (1816-1892) of Sanders Park or Charleville Park, Charleville. 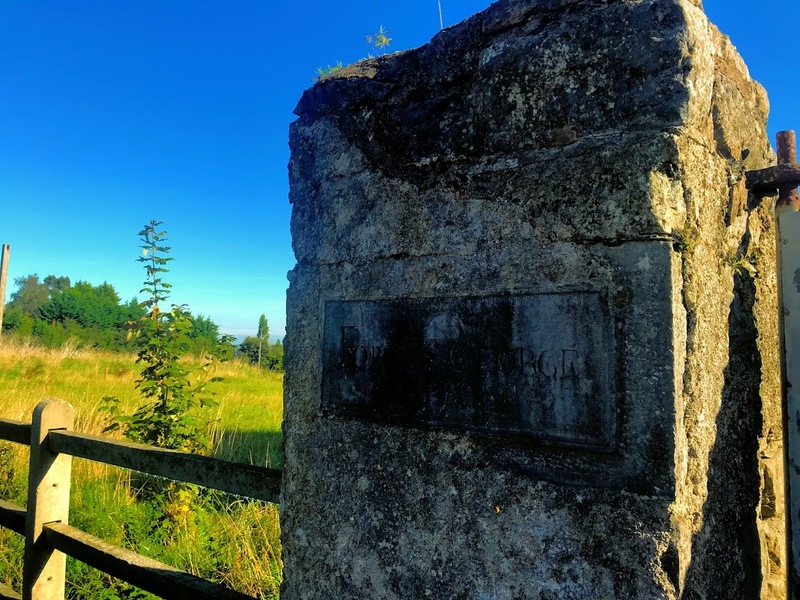 Robert Massy Dawson Sanders, a land agent, inherited Charleville Park from his father in 1892. He was an elder brother of Evelyn Francis Sanders (1864-1909), who in 1903 married Maria Elizabeth Coote Townshend (1865-1942), who was born in Ireland, and they lived in Calcutta. Robert Sanders was educated at Trinity College Dublin and was High Sheriff of Co Cork in 1901. 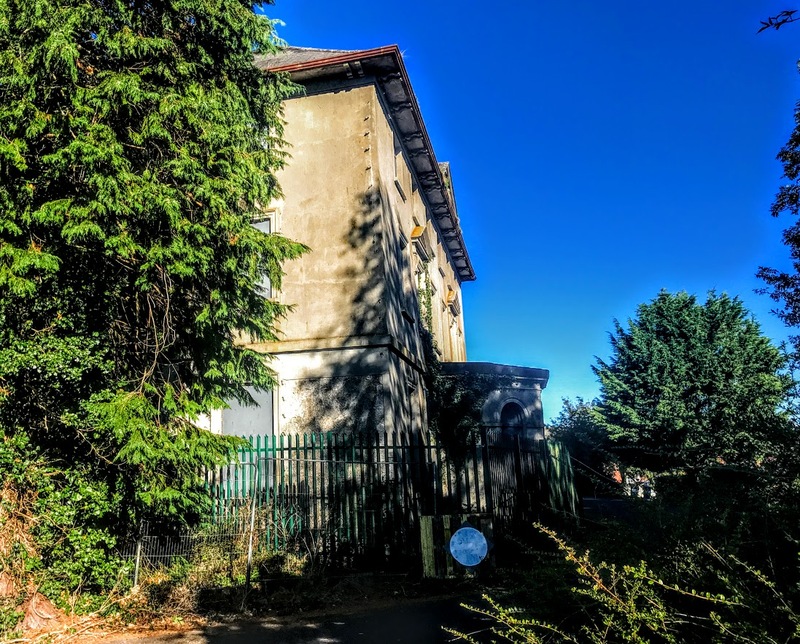 He managed the family estate at Charleville Park and a number of other estates, and in 1916 he inherited the Ballinacourty Estate in Co Tipperary from his mother’s uncle, Captain Francis Evelyn Massy-Dawson, a retired naval officer. During the Irish Civil War, the anti-treaty Republicans occupied Ballinacourty House, but on the approach of Irish Free State soldiers the Republicans burned the house and made good their escape. Ballinacourty House was never rebuilt, but the stables have since been restored as Ballinacourty House Restaurant. Robert Massy Dawson Sanders later rebuilt and extended an old school house and opened it as an hotel and convalescent home. The Glen Hotel now stands on the site. During the Irish Civil War, Robert Sanders moved to Buckland Court in Surrey, which was owned by his elderly father-in-law, Francis Henry Beaumont, who transferred the estate to Sanders in 1923. Later, around 1932, Robert Sanders built a lodge on the Ballinacourty Estate where he could stay when he was in Ireland; the Aherlow House Hotel stands there today. Robert and Hilda Sanders were the parents of two sons, Charles Craven Sanders (1899-1985) and Terence Robert Beaumont Sanders (1901-1985), who were born at Charleville Park and educated at Eton and Trinity College Cambridge. Charles Craven Sanders lived at Coolnamuck Court, near Carrick-on-Suir, Co Tipperary, up to the mid-1950s, and later lived in Whitechurch, Rathfarnham. His brother Terence was an Olympic gold medallist and a lecturer in engineering in Cambridge. Terence Sanders was born at Charleville Park on 2 June 1901 and was educated at Eton and Trinity College Cambridge. At Cambridge, Sanders, Maxwell Eley, Robert Morrison and James MacNabb, who had rowed together at Eton, made up the coxless four that won the Stewards’ Challenge Cup at Henley in 1922 as Eton Vikings and the Visitors’ Challenge Cup as Third Trinity Boat Club. Sanders stroked for Cambridge in the Boat Race in 1923, which was won by Oxford. The coxless four won the Stewards’ Challenge Cup at Henley again in 1923, the crew won Stewards’ at Henley again in 1924 and went on to win the gold medal for Great Britain rowing at the 1924 Summer Olympics in Paris. The British crew won comfortably over the 2000 metre course and winning, with Canada finishing second and Switzerland taking the bronze medal. Sanders became a Fellow of Corpus Christi, Cambridge in 1925, and was appointed university lecturer in engineering in 1936. He was honorary treasurer of the University Boat Club from 1928 to 1939, and was in the Leander Club eight that won the Grand Challenge Cup at Henley in 1929. In 1929, he co-wrote The University Boat Race: Official Centenary History 1829-1929. During World War II, he was active in Operation Crossbow that countered the threat of German V2 rockets. He was made a Companion of the Bath (CB) in 1950, and retired from the army as colonel in 1951. Sanders died at Dorking, Surrey, on 6 April 1985 at the age of 83, and is buried in Buckland churchyard near Reigate. Meanwhile, Charleville Park was the residence of a Mr Binchy, a merchant in Charleville, in the 1940s. By the end of the 20th century, Charleville Park was turned into flats, and new housing estates were built on part of the land. 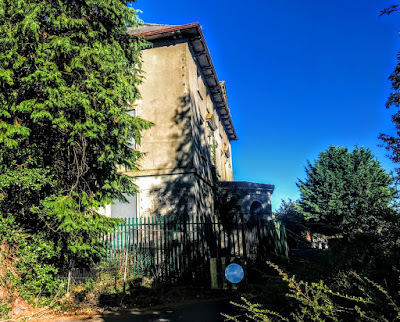 When I visited Charleville yesterday [27 September 2018], the house was derelict, boarded up and fenced off. But an unusual octagonal gate lodge still stands near the original entrance to the house and demesne. This two-storey gate lodge was built around 1830, with one-bay faces. The projecting slate roof forms a shallow canopy at the entrance face, with carved timber bargeboards supported on carved timber brackets. There are rendered chimneystacks, rendered walls, square-headed openings with quarry glazed transomed and mullioned windows and rendered sills. An elliptical-headed opening has a raised brick surround and a timber panelled door. 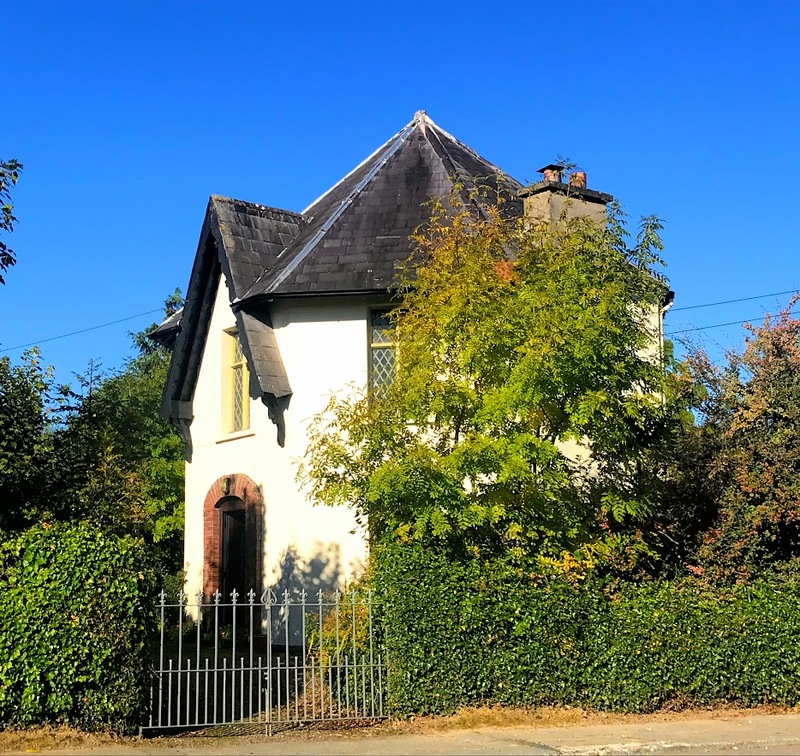 This former gate lodge at Charleville Park is an interesting example of theatrical architecture, and its shape and size are unusual as gate lodge are typically single-storey structures, as can be seen nearby at the former gate lodge at Knight’s Lodge. 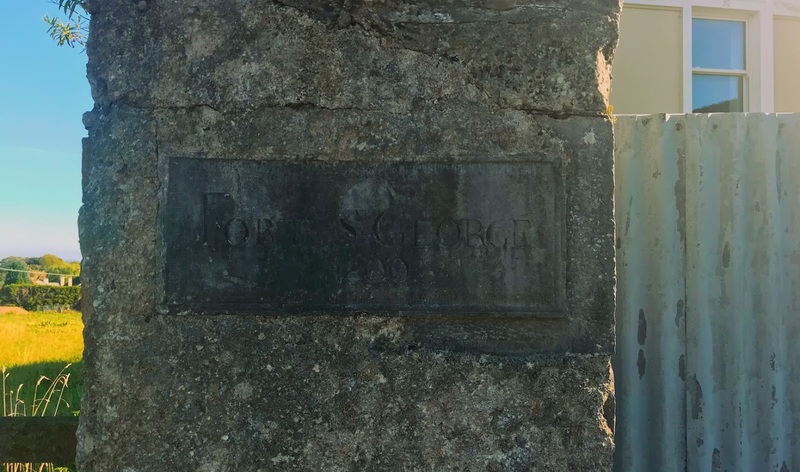 I had wondered whether I would find any clues at Charleville Park about the choice of name for Fort St George nearby. After all, the Sanders family coat-of-arms has three elephants’ heads on the shield and an elephant’s head in the crest, and Evelyn Sanders and his wife Maria were living in Calcutta in the early part of the 20th century. But Calcutta was too far from Fort St George and too late a connection to explain the name, and the elephants’ heads provided no clues at all. Instead, there was another link with Fort St George, as I imagined Robert Sanders as a regular visitor as he rowed for Cambridge or walked along the banks of the River Cam. At the time Sanders rowed for Britain in the 1924 Olympics, it was a matter of chance rather than choice whether Irish Olympians were categorised as Irish or British, and his opportunities came from his experiences at Eton and Cambridge. But Robert Sanders should not be forgotten as an Irish-born Olympic gold medallist.